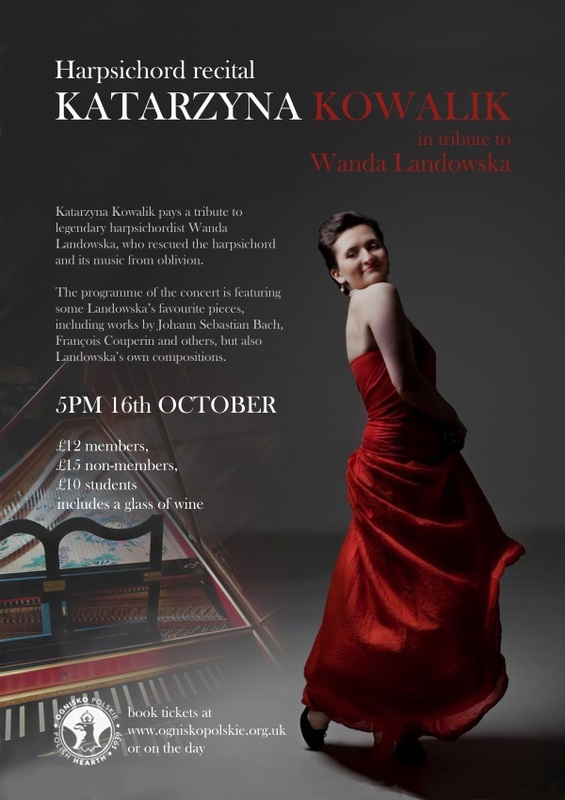 The great Polish-French harpsichordist Wanda Landowska is remembered in a recital on Sunday 16 October 2016. Harpsichordist Katarzyna Kowalik pays a tribute to legendary harpsichordist at the Polish Hearth Club, 55 Princes Gate, South Kensington, London, SW7 2PN. The concert features some of Landowska's favourite pieces, including works by Johann Sebastian Bach, Francois Couperin and others, as well as some of her own compositions. Katarzyna was highly commended in the final of the 2015 York Early Music International Young Artists Competition, and was member of the Handel House Talent scheme in 2015, a new scheme to further the career development of promising young professional baroque music performers.